Good business practices help keep the number of business insurance claims to a minimum. Business insurance is there to protect your business when the unexpected happens, it’s not an all-encompassing safety net for bad business practices. What are “Bad Business Practices”? Many business owners go into business with the best intentions, but sometimes not the right knowledge for running a business. Bad business practices can happen to good people. Business practices are, basically, how a business is run. The policies that dictate how things get done and how issues get handled are at the core of business practices. And, some businesses do a great job in some aspects of business, and a not-so-great job in other aspects of business. A “bad business practice” happens when there’s limited understanding of the process or a lack of attention to the details that make up the steps of the process. For example, one of our clients needed a cargo policy as they ship items frequently. Within five months they submitted four claims. Sure, things happen, but they shouldn’t happen that often. Five months is a short period of time to have four claims. A good business practice would have been to review their process after the first claim to see what they could do to limit their exposure to problems, and again after the second claim, to fine-tune their process even further. Instead, it was obvious after the fourth claim that they needed to work on their business practices and stop relying on their business insurance to cover their losses. When he told me he had another claim to submit, I saw only two possible results - a huge premium increase or the insurance company canceling the policy - and neither of them were good for my client. So we sat down to review his policy and I was able to explain the situation and the need for better business practices. He took my words to heart, didn't submit the additional claim (which fortunately was not that large), and maintained his premiums and business insurance policy. He also improved his policies and developed much better business practices! Business insurance is meant to protect a business from unexpected situations. It is not a discount program that helps pay for repeated mistakes, or a magic pill meant to take the place of a maintenance contract. If a business overuses a policy, they’re going to lose it. When a business starts a new business insurance policy or reviews the current one, they should be thinking about coverage for extreme situations. A few examples include lawsuits, physical damage to their offices, or loss of inventory from things such as a hurricane or fire. Business insurance policies are meant to be there when a business really needs it, so they can stay in business. It's not meant to be used every single time something happens, especially the smaller things that may have been avoided with better business practices. Business policies and processes need to include controls, so someone is watching how things are going. When employees, including business owners, are left on their own to complete a task and manage a project, without company-level policies and processes to follow, there is a lack of consistency which can easily cause problems. Additionally, with policies and processes in place, it will be easy to identify a non-conformist employee, which is one of the greatest risks to any business! Good business practices mean that the business is doing something to protect themselves. It’s taking extra care of how things are working and who’s doing what. Simply, doing the due diligence that the business should be doing protect their employees, services, offices, buildings, equipment, products, and everything else they need to stay in business. Business insurance carriers consider this “good risk management”, which is always a good business practice. The business must take responsibility for being in business and doing everything possible to conduct business safely. 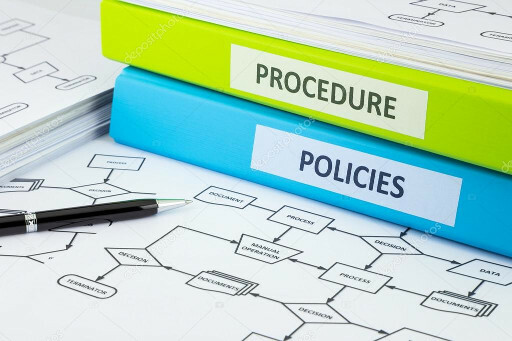 Business policies and processes that include controls, due diligence, and regular review help businesses uncover problems before they become incidents, or lawsuits that require insurance policy claims. Business insurance agents want to help businesses stay in business. We work hard to deliver the right policies based on the unique requirements of the business. When a business steps to the plate and takes responsibility for the way the business is run, with solid policies and processes that include controls (and documentation), it helps to create a stronger partnership. The insurance policy is there to protect the business from a large and unforeseen claim, protecting the business from financial loss. The good business practices help to prevent claims before they happen, help to qualify for better premiums, and more coverage options! Together, business insurance and good business practices are going to keep you in business! Business Insurance: Are you asking the right questions? Sexual Harassment vs Sexual Abuse; Which Business Insurance Coverage Do You Need? Mary Graf has provided our small business with the knowledge, tools, and expertise to make informed decisions regarding our insurance investments. She is a warm and professional person who is highly motivated to do the absolute best for her clients and community. Mary has been our insurance broker for many years. Her extensive knowledge of the companies and product offerings is critical to securing the best coverage for us. Her ability to ask the right questions, delve into the most relevant information and discern our requirements has forged a strong working relationship. Personally delightful and professionally efficient, Mary and her agency staff always provide top-shelf service! Fritzi Gros-Daillon , Anson Environmental Corp. Transitions USA Inc. When I think of insurance, I think “Graf Agency.” I first joined our family business in 1984 and when I was introduced to Ken Graf, I soon realized why our family did business with his family. Over the years, Mary Graf has continued the family tradition of unmatched service, responsiveness and attention to detail. I know I can always depend on Mary to possess the knowledge, do the research and advise me on the best products for our business and my personal needs. The peace of mind that this provides is priceless. As a Business Management Consultant with high-end clients who demand excellence, I only work with Mary from the Graf Agency for all my insurance needs. Mary’s response time, care and attention to my requests are always impeccable. Not only does she know her industry very well and provide the best packages, but she also takes the time to research the most cost-effective ways to make sure I am always offering my clients the very best!